October 19, 1987 – Wall Street Lays Another Egg. 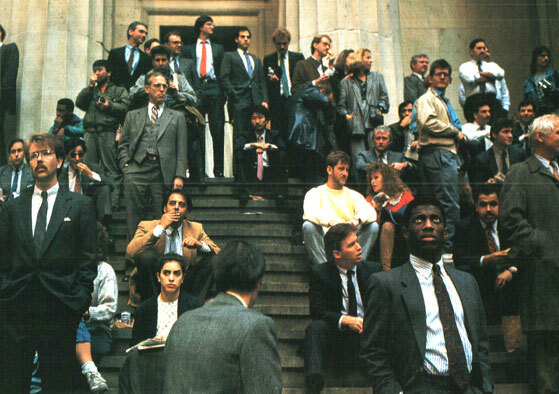 Wall Street – October 19, 1987 – the doom was palpable. “Not since Black Friday in 1929”, “The worst single-day drop in history”, “the bottom has fallen out”. That’s what this day in 1987 sounded like, or at least most of it. A 500-point drop in the Stock Market signaled widespread panic all around the world, as financial institutions and investors scrambled to recover plunging losses. President Reagan, like Candidate John McCain in 2008 remarked there was no reason for the drop, that all indications were the economy was healthy. Clearly, a lot of questions were being asked to go along with the hang-wringing. Here are hourly news reports starting with the CBS 1:00 pm news, and a re-cap from American Public Radio. Until 2008, this was the worst day on record.